MATSA® Construction Co., Inc. has been in business since 1985, is a full time construction firm serving clients throughout Florida, offers “one stop shopping” experience no matter the size of the project. 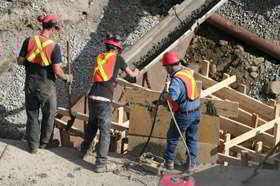 Matsa Construction has provided service excellence in the general construction industry in the State. Our commitment to building lasting relationships with our clients is our top priority. We stay customer focused to make fair, honest, quality-based decisions, budged- controlled pricing, craftsmanship and on-time delivery all of which leads to clients who trust us and continue to come back to us. Matsa Construction is an assorted company, and has completed a wide range of projects over the years. Our reputation for uncompromised quality and reliability is evident in every one of our projects, no matter if is industrial, residential or commercial; we are well versed in all types of construction. At MATSA® Construction Co., Inc. our Know-how, our close coordination between design and construction teams, our “value engineered”, our respect for the architect’s vision—combined with our skillful attention to detail, our creative solutions for every building challenge, our experience to identify obstacles, our project management approach, our uncompromised reliability, assures the construction process even in the most complex project will be an enjoyable and highly rewarding experience for the client and us.